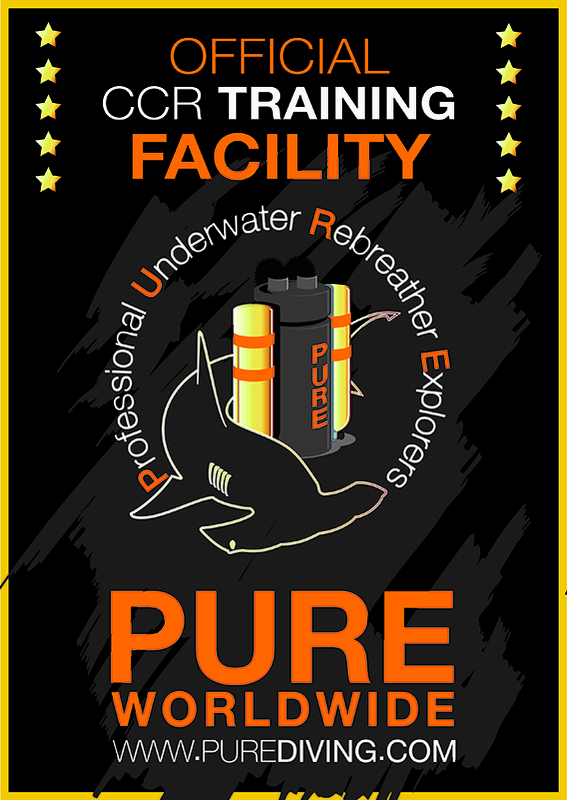 For Megalodon Rebreather training, the Rebreather Zone offers several technical courses. 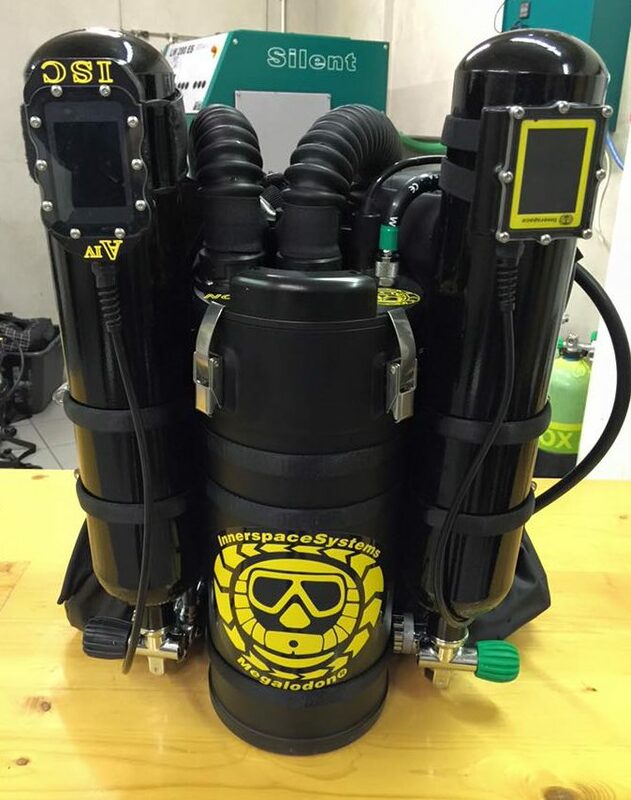 The Megalodon Rebreather from Innerspace Systems Corp has a solid reputation of being a well performing and versatile rebreather. Fundamentally the Meg was designed for the most demanding dives with consideration for the diver and their needs. Addressing not only the basic requirements of performance that a true 3rd party tested CCR must undergo, but also the other considerations that are not considered, such as travel concerns and conducting repairs in remote locations. The design of the Meg meets fundamental design requirements established by the creator Leon Scamahorn, Founder and CEO of InnerSpace Systems Corp, in the USA. InnerSpace Systems is an ISO 9001:2008 registered company and the only one like it in the USA at this time. ISC is a custom CCR manufacturing company that designs systems to meet customer requirements. The Megalodon is used for normal dives as well as for extreme dives, whether in the open water, wreck diving or cave diving. The heavy duty aluminum housing, with O-ring seals on all connections very much puts an emphasis on safety. The Meg has an Automatic Diluent Valve (ADV) and a Heads Up Display (HUD) with which, every diver can control and monitor their pO2 without losing focus. The Meg is equipped with a Controler (AV1), which is also used to change the setpoint as well as to display the sensors and the pO2. Optionally there is a Shearwater dive computer (Petrel 2 or Nerd) to terminate all sensors and decompression. The Megalodon is a great rebreather for technical diving. Any of the courses in my technical rebreather range can be taken with this rebreather. The Megalodon 15 is definitely my favorite. 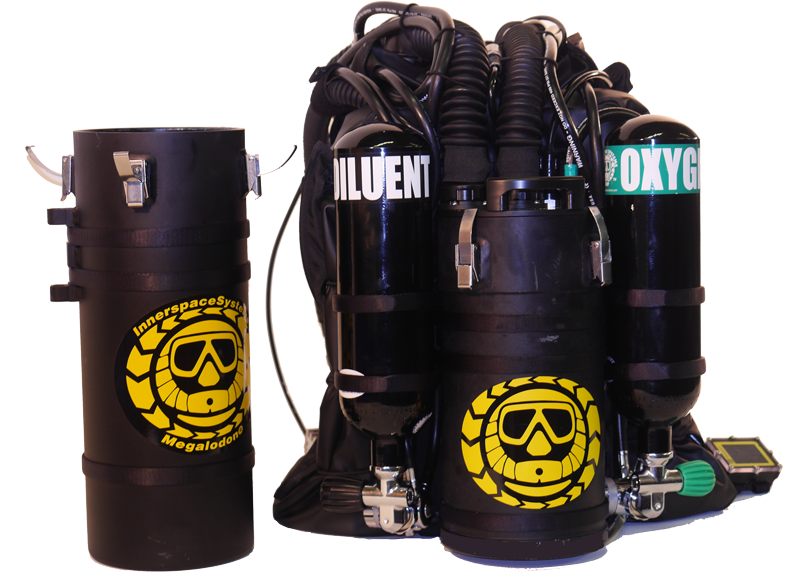 Thanks to its robust design, it is also suitable for heavy or even extreme dives. 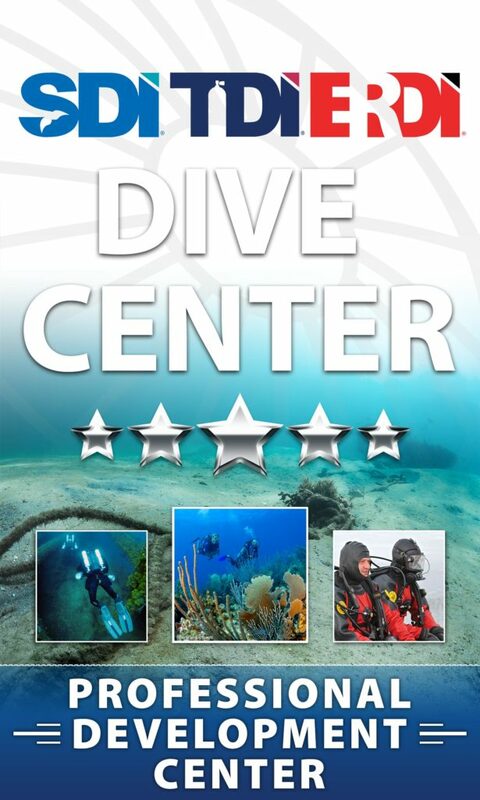 I dive into the area caves / mines, wreck, deep or long decompression dives. Its front lungs allow easy breathing in any position.